Over the years, since my undergrad days, coffee and I have developed quite the relationship. As a child, my favorite ice cream flavor was coffee. I loved the smell of coffee. I remember going into the refrigerator or freezer where mom kept her coffee, cracking the lid, and inhaling deep. Such a glorious smell. But when mom would give me a taste, yuck! It was so bitter, so bold. So not what I liked, but I couldn’t get enough of the smell. It wasn’t until I was a freshman in college when my friend Mike introduced me to coffee made the right way: with cream and sugar. Game changer! Now, I will say, as my tastes have developed, I do enjoy an occasional black cup of coffee to complement a dessert. 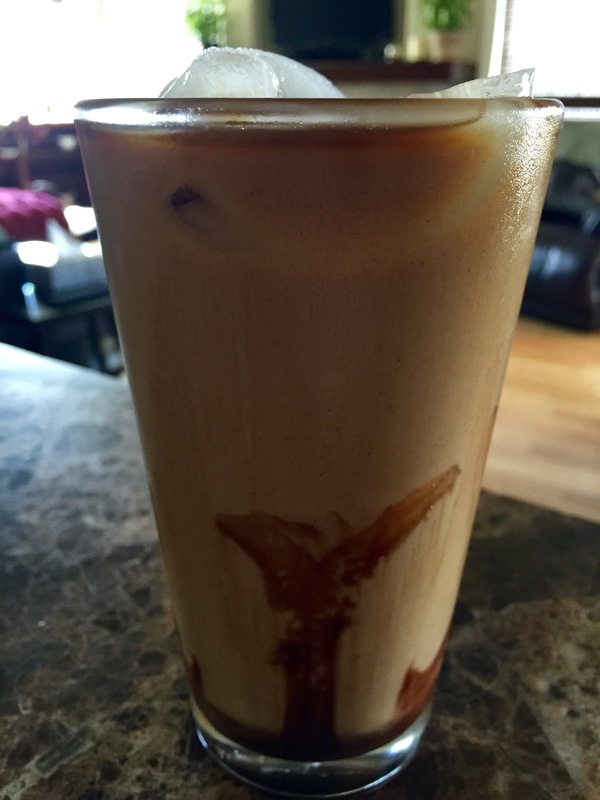 And, with the heat of summer, iced coffee or mochas are my go to at home. I first tried making these with espresso powder and I was sorely disappointed until I learned how to improvise. Buy a pound of ground coffee. I opted for Starbucks Pike Place. Using a gallon size pitcher, dump the entire bag of coffee in it and fill with hot water. Cover and allow to sit overnight, 10-12 hours. In the morning, over a large bowl, using a sifter or something larger with a tiny strain, strain the coffee/ espresso. Repeat if necessary. Rinse out the pitcher and return the espresso to the pitcher. It will keep in the refrigerator for 2 weeks. Using a tall glass, add some ice cubes, drizzle a little chocolate syrup over them, use a packet or two of Stevia, fill halfway with the espresso, top with milk and stir. Voila. Iced mocha at home.